The High Court of South Africa today confirmed that the owner of the cargo of phosphate rock aboard the detained vessel, NM Cherry Blossom, is the Saharawi Government, and not Morocco's state-owned phosphate company which was not entitled to sell the commodity. Major victory for the Saharawis in an African Court. On 1 May 2017, the bulk carrier NM Cherry Blossom was detained at Port Elizabeth, South Africa. Aboard the vessel was 55,000 tonnes of phosphate rock from occupied Western Sahara, sold by the Moroccan state-owned phosphate company OCP (and subsidiary Phosboucraa) to a New Zealand based farmers' cooperative; Ballance Agri-Nutrients. The exiled Government of the Saharawi Republic in combination with the Saharawi people's organisation Polisario had obtained the court order for the detention of the cargo. 2. Ownership in the phosphate has never lawfully vested in OCP SA or Phosphates de Boucraa SA, and they were, and are, not entitled to sell the phosphate to Ballance Agri-Nutrients Limited. Download the complete, official ruling here. "This is very good news for the people of Western Sahara. The judgment is perfectly in line with the Court of Justice of the EU and the legal opinion of the African Union", Mhamed Khadad, Polisario coordinator to the UN operation MINURSO told Western Sahara Resource Watch. "We hope that all those companies who participate in the plunder of the resources of Western Sahara will understand the legal risk. Polisario will use all legal tools to put an end to the plunder of the Saharawi people's resources. In the meantime, we are very open to build good relations with all those who are interested in our resources. 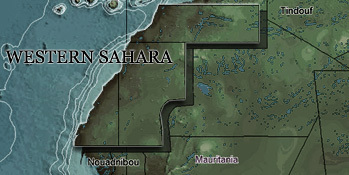 The exploitation of Western Sahara's resources require consent of the representatives of the people of the territory", Khadad stated. See press release from Polisario the organisation that initiated the court case, dated 23 February 2018 here. The news was also welcomed by EU representatives, who highlight the significance of the South African ruling on the eve of yet another Western Sahara judgment by the EU Court of Justice, expected next Tuesday. "I welcome this new legal victory for the people of Western Sahara, this time thanks to the High Court in South Africa. This is yet another dressing-down for the European Commission, which persists to ignore the international right of the Saharawis over their natural resources, by negotiating a trade deal with Morocco without the consent of the Saharawi people. I urge the EU officials in Brussels to wake up to the hard reality of democratic societies: the rule of law matters", said EU Parliamentarian Florent Marcellesi of the Greens/EFA group. The NM Cherry Blossom had stopped over in South Africa for provisioning. It was during those few hours that the Saharawi authorities managed to successfully obtain the detention of the cargo. In June, the South African High Court declared the detention to be lawful, and that a trial to determine the ownership of the cargo was to take place. Two months later, in July 2017, OCP decided to drop its defence in the legal proceedings. To date, the NM Cherry Blossom is at anchor in Port Elizabeth, coming at a high financial cost for the owners and operators of the vessel. In June 2017, WSRW contacted all operating firms that had been responsible for the shipment of Western Sahara phosphate in 2016. Read our report 'Carriers of Conflict' on the shipping companies behind the controversial trade. The New Zealand importer had never asked the Saharawi people for permission to import from the occupied territory. Several international and national courts, as well as the UN, is clear that the people of Western Sahara need to give its consent. The importer from New Zealand is said to have been present during the court decision today.